WBAI's 99.5 Radio Theatre presents an adaptation for radio by Joanna Russ of the satirical 18th century novel by Thomas Love Peacock. The cast includes Albert Norton, John Wilson, Judy Richheimer, Karen de Bergh, Baird Searles, and Christopher Strater. Produced by Baird Searles, with assistance from Lee Crespi and Bob Lewis. Technical production by Sam Sanders. 15 seconds of tone appear at the beginning of the recording. 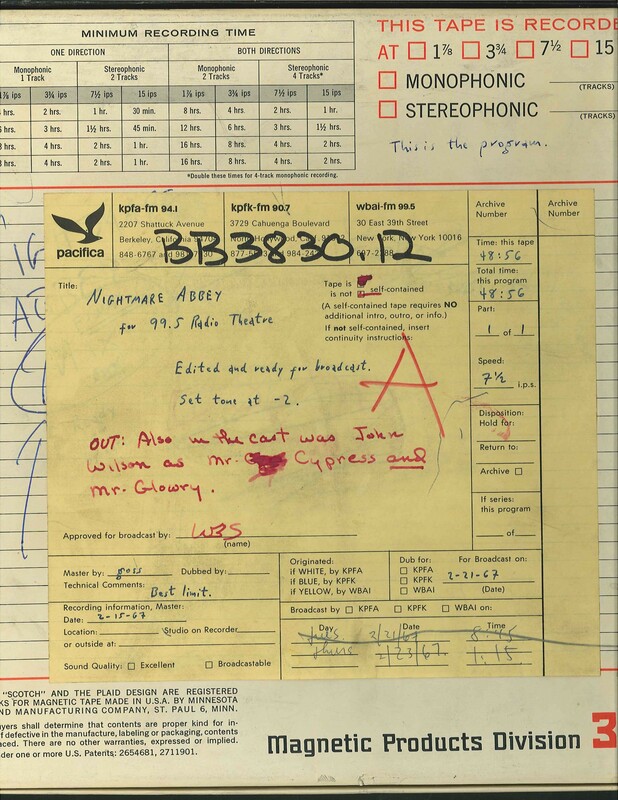 This recording was formerly cataloged as BB3830.12. 1 reel (49 min.) : 7 1/2 ips, mono.